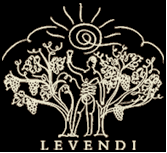 On the last day of the Wine Bloggers Conference, several bloggers were invited to a private party hosted by The Wine Spies and Cruvee in honor of Levendi Winery. While there, we tasted some lovely wines, all of which were offered in a half bottle format. This is a great way to pour wine, as it allows Levendi to open fresh bottles every day, with minimal waste. It is also a great way to buy wines for people who may not be able to consume an entire bottle in one night, or are single (umm me!) and don’t want to use one of the alternative closure options available to recork their wines. I really enjoyed the 2006 Red Hen Chardonnay, which while being a rich Napa Valley Chardonnay was not overpoweringly buttery and creamy – something I dislike. It had distinct notes of tropical fruit, and was very refreshing on a warm afternoon by the pool. Alas, by this point my brain was a bit fuzzy after 3 days of WBC, and so my notetaking ends here. Unfortunately, that precludes me from participating in The Wine Spies’ contest to review this wine, but c’est la vie! That said, I had a wonderful afternoon with my fellow wine bloggers! Megan the Wannabe Wino, me, and Randy Hall of Wine Biz Radio! and graciously extended an invitation to sit down and taste through his offerings. Chris actually left another very popular event, Pinot on the River, to host us – which in my mind – really empahsizes how the next generation of winemakers understand the importance of new social media and blogging. 2007 Sauvignon Blanc, Russian River Valley – crisp lemons & grapefruit. Neutral French oak gives this a tangy tropical nose. 2007 Chardonnay, Christie Vineyard, Russian River Valley – My favorite. Neutral French oak; Vineyard is just beyond Chalk Hill AVA. A bit of caramel nuttiness. Very crisp & citrusy. 2006 Chardonnay, Russian River Valley – 50% new oak. Golden raisens and toast on the nose. A bit of must, but nice spice on finish. 2006 Chardonnay, Orsi Vineyard, Russian River Valley – Dry farmed vineyard. Lots of minerality. Nutty and spicey. 2006 Pinot Noir, Maddie’s Vineyard, Russian River Valley – This needed a lot of time to open up. After walking around the facility, I came back to Maddie’s and really enjoyed the bright cherry flavors and baking spices on the finish. We tasted two additional wines, but I didn’t take any notes. Clearly I need to go back with a fresh palate! Here are some snaps of the blogger crew getting jiggy with it! Megan, the Wannabe Wino & Becky, Taster B clearly enjoying themselves in the barrel room! actually enjoying and buying a California Pinot Noir. Who says pigs don’t fly? Damn girl! You made the rounds! 🙂 It was fun. Yay WBC! Great pics! You really DID go to the afterparty! Sorry I missed you there but glad we caught up later! Here's to the next WBC!